Multi-vendor Magento eCommerce for transboundary online sales of high-end products. In an increasingly globalized economic environment, shopping across borders is constantly expanding and the number of companies that have a commercial presence in the international market is growing steadily. 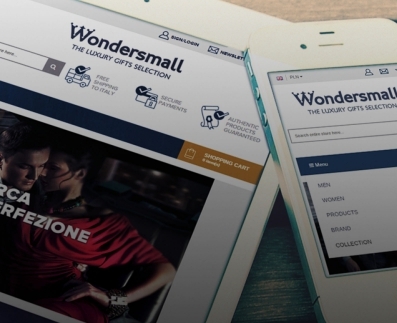 Based on Magento, the Wondersmall eCommerce is characterized by several aspects that make the site an unique case in the field of the cross-border trade of goods positioned in the high-end market. Selling online across borders requires to take into account various aspects and it is therefore important to address a supplier who has already dealt with these matters. Are you also interested in enabling your business for cross-border sales? Advanced Logic possess the needed knowledge and experience to support you doing this.